May refuses to postpone Brexit for longer than 30 June. 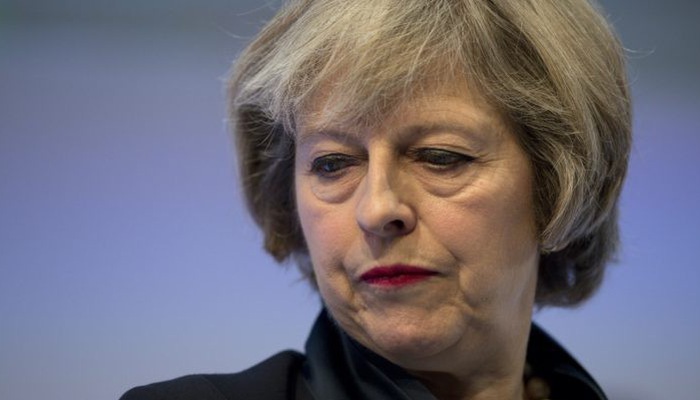 British Prime Minister Theresa May is not planning to postpone Brexit beyond June 30, the new deadline she proposed to the European Council on Wednesday. That is what the British Prime Minister stated on Wednesday evening in a speech in which she placed the blame for the problematic Brexit process on the British House of Commons in particular. According to the British Prime Minister, British parliamentarians mainly know what they do not want, but do not let them know what they do want. The Brexit process is in yet another stalemate, one and a half week before the official Brexit date: 30 March, midnight (Dutch time). which would create a lot of social and economic chaos, both in the EU and the UK. That is why May asked for a delay. The 27 remaining EU member states must unanimously approve that delay. Donald Tusk, the President of the European Council, said on Wednesday that a short delay is only possible if the British first approve the resignation agreement. For the British to postpone, they must, therefore, accept the withdrawal agreement that has been negotiated with the EU for two years. According to a note from the European Commission on Wednesday, Brussels would also consider offering a very long delay: until the end of this year or longer. So May doesn’t feel much for that, and it appears today. The problem is that the President of the British Parliament earlier this week ruled that May should not have the same deal put to the vote again unless something changes about it. The deal has already been voted on twice before: in January and earlier this month. That second time was then authorised because there were some additional commitments from the EU. The British government has already mentioned that they are still planning to find a way to get the proposal to vote next week. The European government leaders meet on Thursday and Friday to review the European Council. The President of the European Commission, Jean-Claude Juncker, said earlier that this is unlikely.